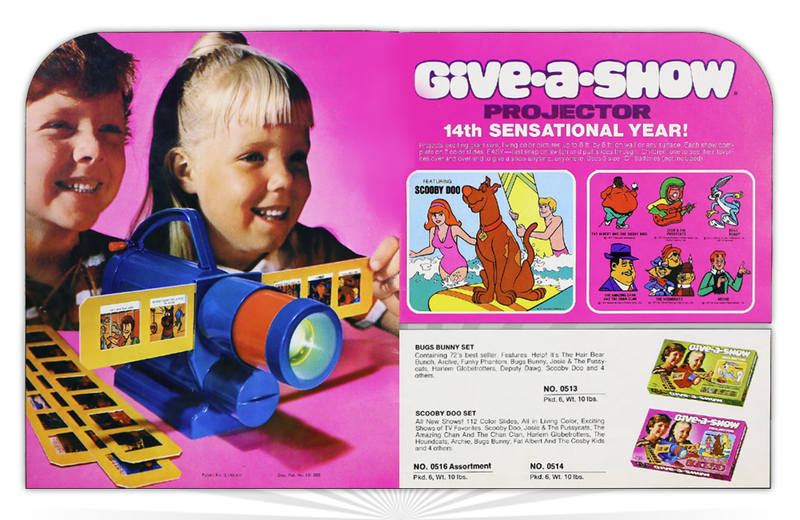 Kenner’s 1973 advertisement for the Give-A-Show Projector promoted new entertainment options for the toy’s 14th anniversary. Give-A-Show was first introduced in 1959, and it quickly became a fixture in Kenner’s toy line for over 20 years. It projected images from strips of seven 35 mm. slides. New shows released in 1973 included a Scooby Doo Set that featured 112 color slides of TV favorites such as Josie & The Pussycats, Archie, Bugs Bunny, and Fat Albert. As part of its diversification into other toy lines Lionel began to offer additional products with a science focus in the 1960 - including weather stations. A 1976 ad from Kenner for the Bionic Beauty Salon - the place where the Bionic Woman would unwind after doing battle with the Fembots.